From the Farm to Fame – Who is Mr. Miklós Hagyó? Mr. Hagyó is a former Hungarian politician who is in the middle of a very, very big scandal. He is a well-known name and face throughout Hungary. But for my intended audience – anglophones with little to no knowledge of Hungary – an introductory post about the man is certainly appropriate. Born in 1967 during the middle of the Hungarian socialist period, he was raised in the small Hungarian village of Jászberény which is about 90 kilometers due west of Budapest in north-central Hungary. Traditionally a farming community of a few thousand citizens, Hagyó witnessed a growing, changing Jászberény due to the arrival of non-agriculture related industry. During his youth, Miklós was surrounded by hard-working family members trying to put food on the table such as his grandmother who operated a tire-repair shop or his father who was a foreman in the local dairy plant. These experiences instilled in Hagyó the Jászság’s (name of the locals) values of wisdom, hard work, honest living and love of life. Completing high school in 1985, Miklós moved to Budapest to attend the University of Horticulture and Food Industry, which today is part of the nationally respected Corvinus University of Budapest. After four years of fine academic performance, he graduated with a Bachelor’s degree in food engineering – the same year in which the Berlin Wall fell, symbolically dismantling the communist Eastern European Bloc. In 1991, Mr. Hagyó began his promising career working for one of Wrigley Gum’s distribution operations in Hungary. Not long after that, Hagyó tested his entrepreneurial skills by creating a slew of star-up companies which developed into a foodstuff distribution network. Those Jászság skills and values proved worthwhile; little time had passed before Hagyó was a successful, wealthy entrepreneur. In 1998, Miklós again decided to test his skills in a new arena – politics. He became an active member of MSZP – Magyar Szocialista Párt (Hungarian Socialist Party) – which was at that time and still is today one of the most prominent political parties in Hungary. 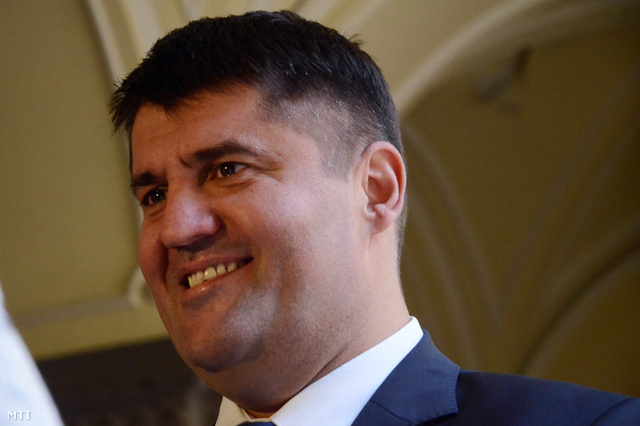 He served the standard term of four years as the MSZP Budapest district VII representative, essentially the MSZP leader of operations for that region of the city. While holding this respectable position, he also oversaw MSZP’s charitable donations and organized charity functions. In the 2002 Hagyó was elected to serve in the Parliament as a member of the National Assembly, actively participating in the standing environmental and foreign affairs committees. By now Hagyó had established himself as a dedicated civil servant with an ever developing role in the newly democratic and capitalistic country. So much in fact that during the 2006 local government election of Budapest, Hagyó was asked to serve as the city’s Deputy Mayor. In this capacity he worked side-by-side with then Mayor Demszky Gábor, a well-known public figure and member of the SZDSZ – Szabad Demokraták Szövetsége (Alliance of Free Democrats). During his time as the Deputy Mayor of Budapest, the arts scene in the capital city had really emerged to what it is today – one of the most respected locales of art production and appreciation in Europe. In addition to helping preserve the traditional Budapest culture, fertilize the flourishing art scene, and oversee his party’s involvement in charity, Hagyó served as supervisor of the Budapest Transport Company – BKV Zrt. (Budapesti Közlekedési Zártkörűen Működő Részvénytársaság) – a city-owned company whose purpose is the creation, organization and oversight of the highly effective, and much used, public transportation system. Finally, this brings us to the point of this blog: the 2009 BKV scandal involving fraud, the misuse of millions of Hungarian forints (the national currency), possible mafia-esque organized crime, potential abuse of human rights, and plenty of other political and legal dirt. Meanwhile, our unlikely political star, Mr. Miklós Hagyó, unfortunately found himself right in the spotlight of the ordeal. But how had our hard-working, earnest Jászság gone from the farm to political fame to a Hungarian scandal? In my next post, I will present the initial crimes of the Budapest Public Transport scandal and shed light upon Hagyó’s involvement and other actors in these central European shenanigans. This entry was posted in Uncategorized and tagged bio, budapest, Europe, hagyo miklos, Hungary, Law, Miklos Hagyo, Politics, Public, Transportation by benhawking. Bookmark the permalink.